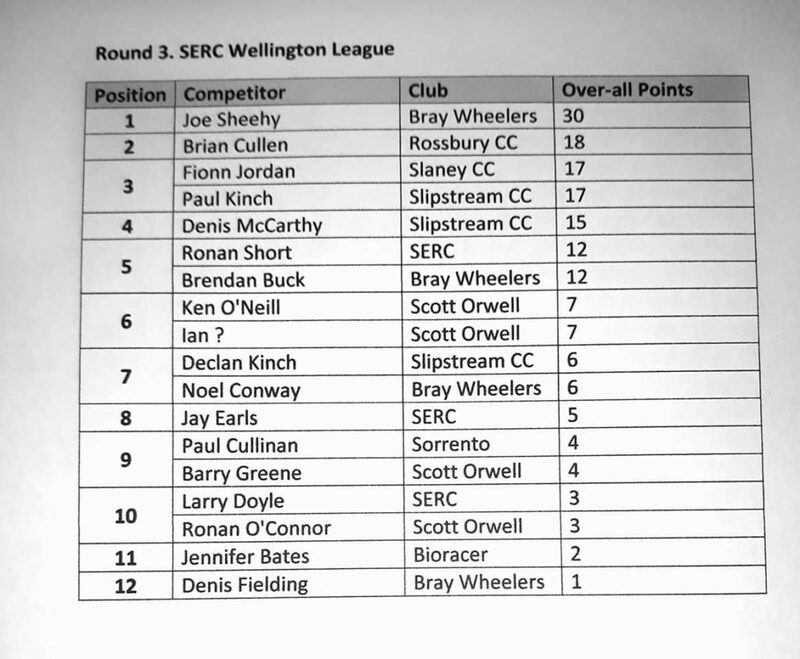 Saturday – No open races on this day but Slaney were represented at SERC’s Round 3of the Wellington TT League. 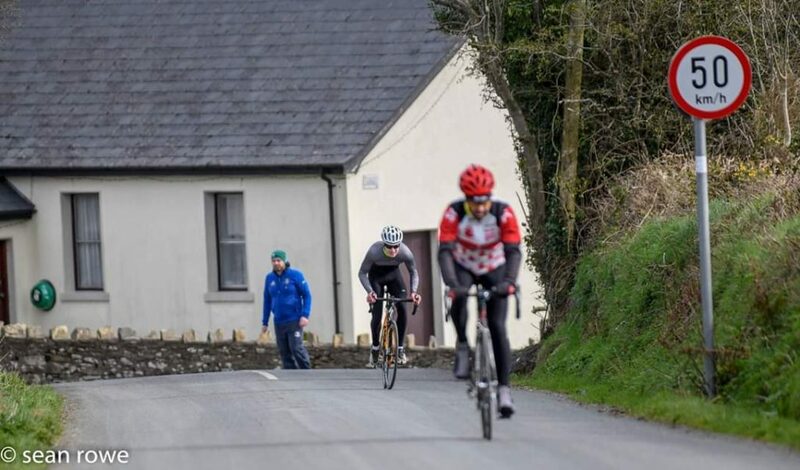 This week’s round was a 4.2km Hill TT of Ballycooge Hill with Bill and Fionn Jordan flying the flag for Slaney with Fionn finishing in second place with a time 10 mins 05 secs. Overall Fionn is in joint 3rd place with 17pts. There is one last round to go with double points on offer so all to play for a top 5 finish. Fionn catching up on Bill. Sunday – Well no Des Hanlon, that’s next week but Slaney were well represented in the Boyne GP and in Nenagh. At the Boyne GP Warren Gillen made a welcome return to A4 racing after his serious injury that ruled him out of racing for 2018. In the A3 race Matt Seebach was riding very strong again and was unlucky not stay away in a move in closing kilometres. In the A2 race, Fionn Jordan was in the chasing bunch and finished well at the end. Finally in the A1 race James Maddock finished in the top 20 in a race that was controlled by the Evo Pro team from start to finish. 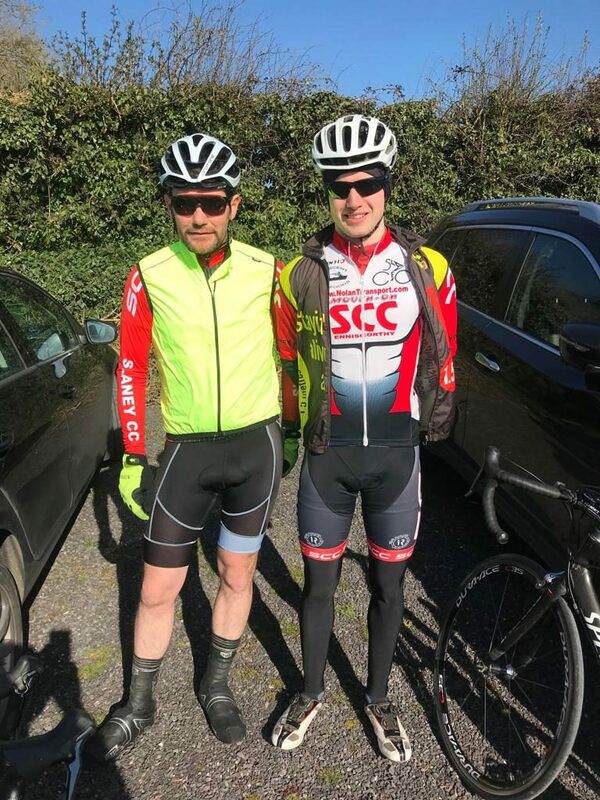 In Nenagh, Paul Noble was Slaney’s sole participant gaining more A3 experience before a possible craic at the Gorey 3 Day next month. 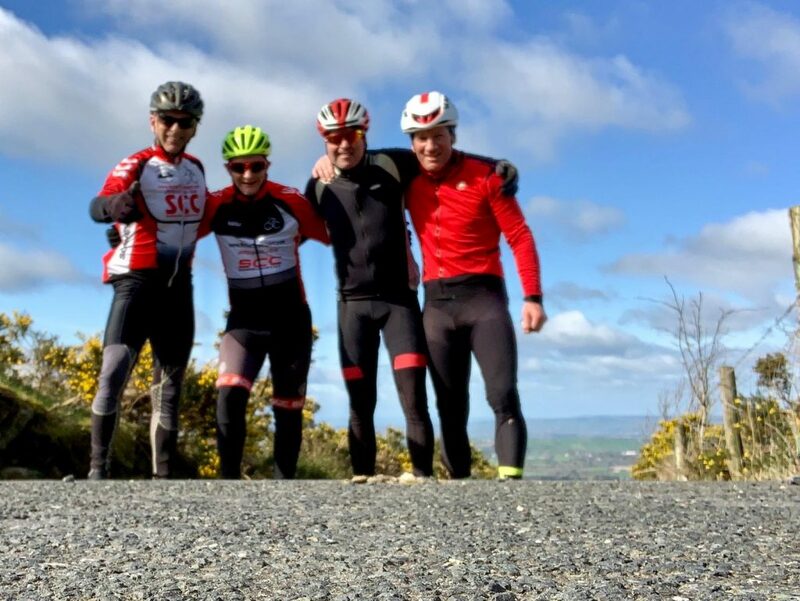 Those of the Racing Group who were not racing today were hard at training as Paul Bolger would say, “A character building spin” of 30km with 1000 metres of climbing that took them over the Corrabut Gap. Must be in training for the Mount Leinster Challenge! Fran Maddock, Derek Doyle, Joe Fortune and Paul Bolger at the top of the Corrabut gap.